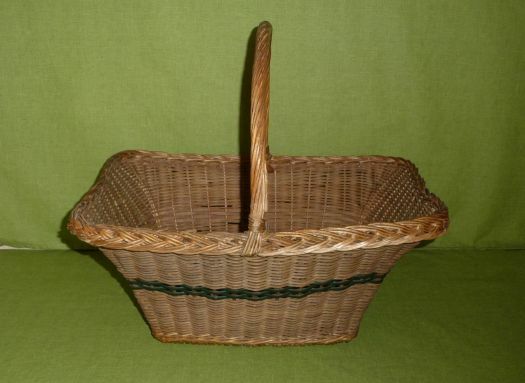 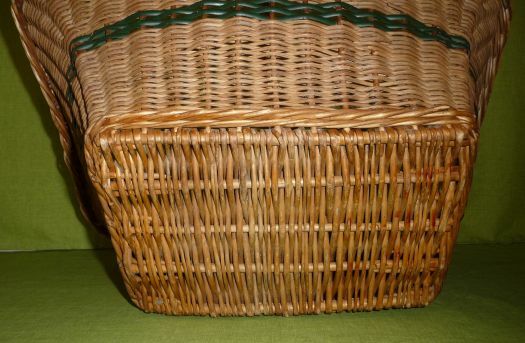 Large rectangular basket in wicker, in correct condition, only a little twisted, nothing important. 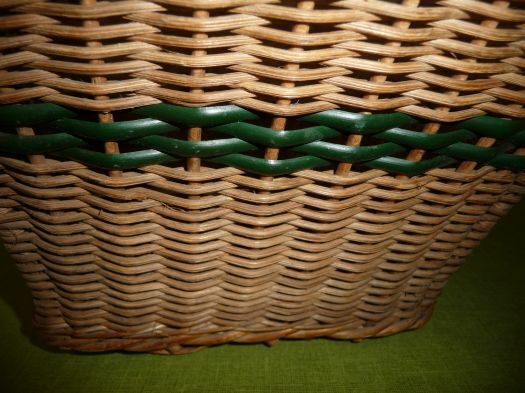 The green parts are tinted (or tinged ?) 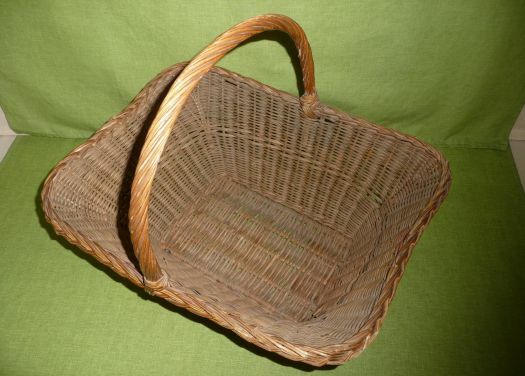 wicker. 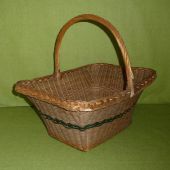 41 cm x 30,5 cm ; total height 34 cm.